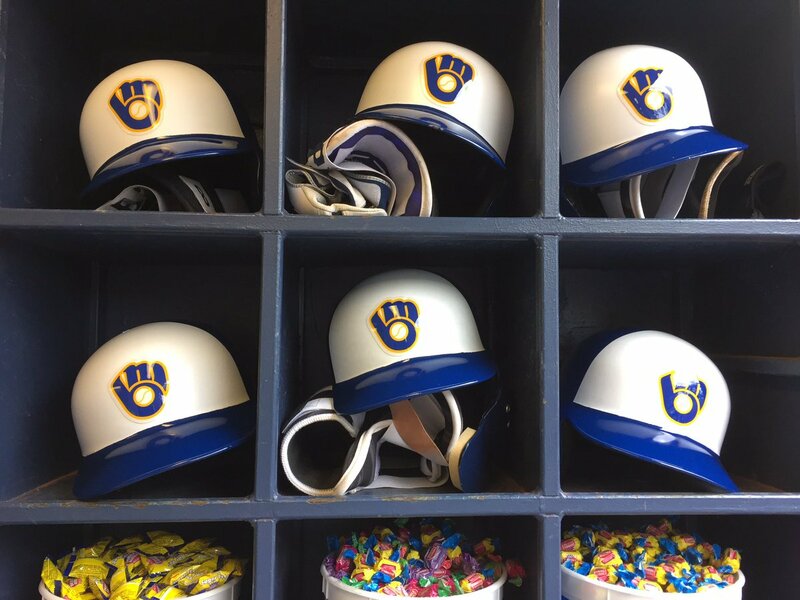 The Milwaukee Brewers recent success on and off the field has landed two key front office figures promotions. David Stearns helped lead the Brewers to within one win of the World Series, was promoted from General Manager to President of Baseball Operations and General Manager. Stearns first joined the Brewers in 2015. Schlesinger just announced a new 15-year ballpark naming rights deal on Tuesday, was promoted from Chief Operating Officer to President of Business Operations. He will be entering his 17th year with the team. Both Stearns and Schlesinger were both given raises and contract extensions in their new positions. The promotion of Stearns made perfect sense in a number of areas for the Brewers. A number of teams had shown interest in hiring Stearns. His new promotion will keep other teams from trying to steal him away from Milwaukee. 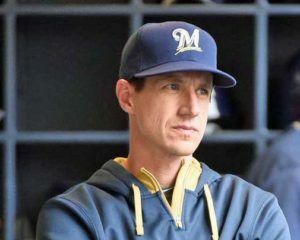 Milwaukee Brewers general manager David Stearns announced that hitting coach Darnell Coles has resigned as the teams hitting coach and bullpen coach Lee Tunnell didn’t have his contract renewed. The Brewers also announced that head athletic trainer Dan Wright will not return. Assistant hitting coach Jason Lane will be considered for Coles replacement but was told that he is free to pursue other opportunities. 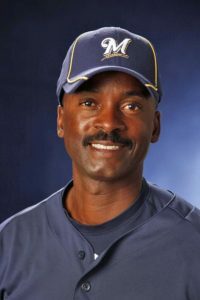 The 56-year-old Coles was in his fourth season as the Brewers’ hitting coach. The Brewers finished seventh in the National League with 754 runs scored. They were second in home runs with 218 and third in total bases with 2,352. But the team struggled with runners in scoring position, ranking 11th (.246). Coles told the Brewers he was ready for a new challenge. The Milwaukee Brewers will send left-hander Gio Gonzalez to the mound in game one of the National League Championship Series against the Los Angeles Dodgers at Miller Park. Since being acquired from Washington on August 31, Gonzalez went 3-0 with a 2.13 ERA in five starts for the Brewers. 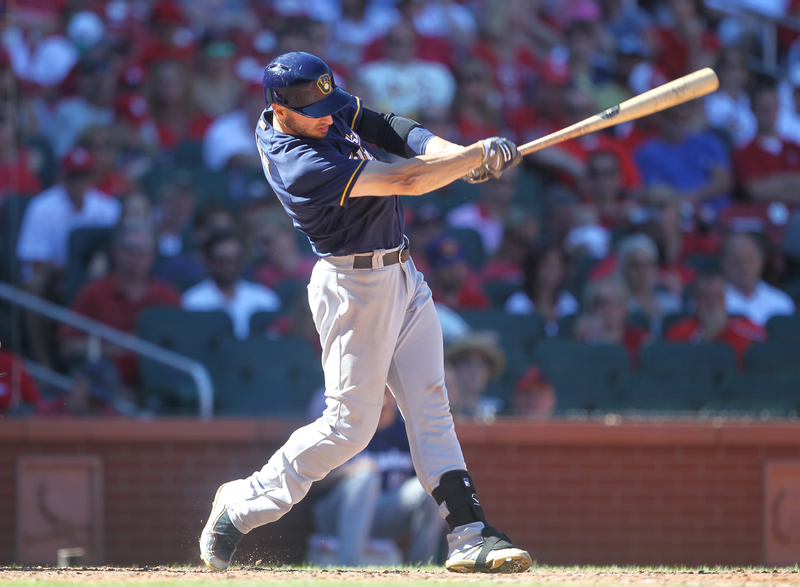 “We like the matchup against their lineup,” said manager Craig Counsell. “It’s no secret that we’re going to use our pitching a little differently than the traditionalists would like. And so far, the first matchup that we liked was Gio on the mound. Milwaukee Brewers pitcher Zach Davies was scheduled to pitch for Class A Wisconsin on a rehab assignment on Friday. Instead, Davies will skip that start and undergo an MRI to try to figure out what is causing his ongoing back stiffness. Davies first went on the disabled list on May 30 with a shoulder issue. During his rehab process, he began experiencing lower back tightness, which has been a concern since then. Davies won 17 games for the Brewers a year ago but has made only eight starts this year, posting a 2-5 record and a 5.23 ERA. 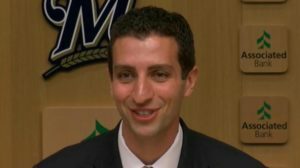 After losing Brent Suter with a UCL injury, it leaves Brewers general manager David Stearns potentially pursuing a starter before the MLB trade deadline at the end of the month. The Milwaukee Brewers received more bad news on the injury front on Wednesday. 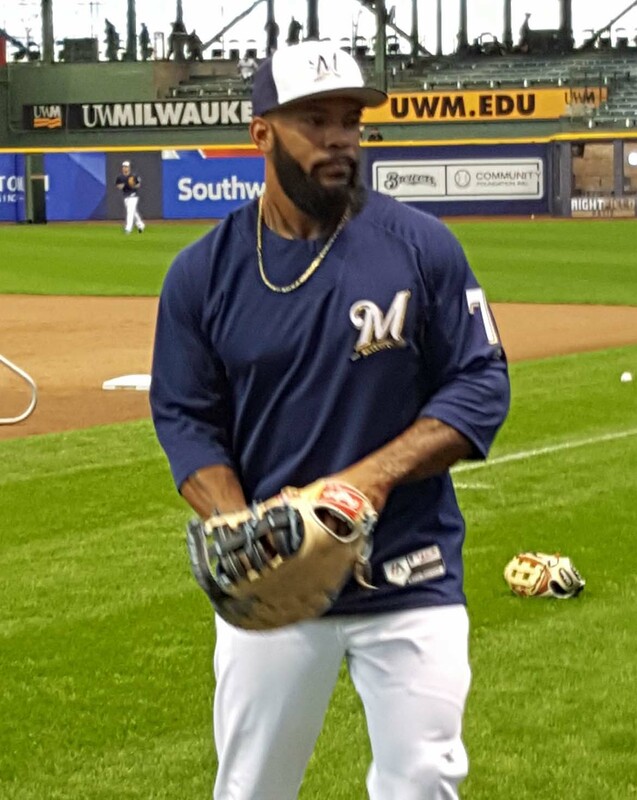 An MRI showed first baseman Eric Thames suffered a torn ulnar collateral ligament in his left thumb. It’s an injury that could keep him out for two months. Thames was placed on the 10-day disabled list. 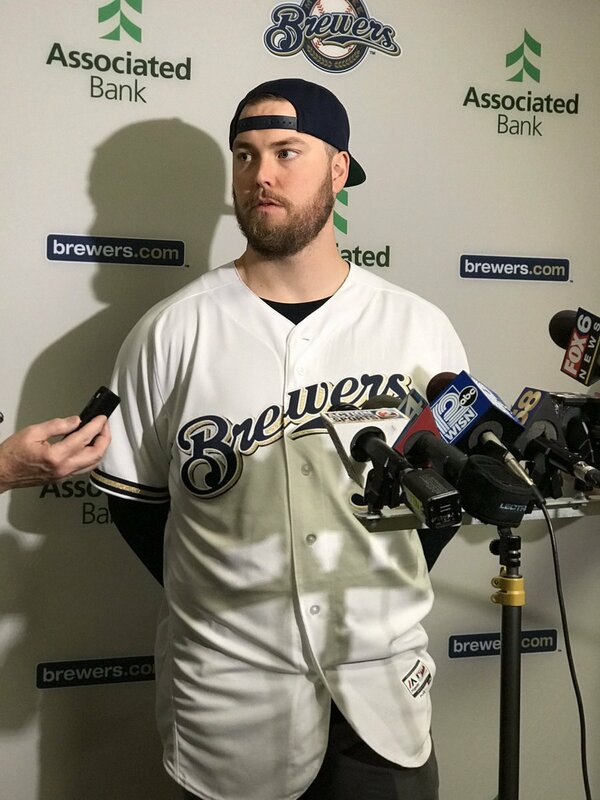 The Brewers recalled right-hander Brandon Woodruff from Triple-A Colorado Springs. Thames is scheduled to undergo further testing today to determine if surgery on the thumb is necessary. General Manager David Stearns said surgery isn’t a definite, but it is likely. Washington’s Bryce harper missed two months in 2014 with the same injury. In 2017, Mike Trout suffered the same injury but missed just six weeks time. Thames suffered the injury Tuesday night while trying to dive for a ground ball in the eighth inning. He jammed his glove hand into the ground while making the play, suffering the injury. Thames is hitting .250, leading the team with seven home runs. In his absence, Jesus Aguilar will serve as the primary first baseman with Ryan Braun likely making some occasional starts there. It’s possible the Brewers could give first baseman Ji-Man Choi a chance. Choi is playing at AAA Colorado Springs. The recent additions of Christian Yelich and Lorenzo Cain give the Brewers a lot of depth in the outfield. To alleviate the potential logjam, General Manager David Stearns confirmed on Friday that he had discussed with Ryan Braun, the idea of the veteran player to give first base a try in spring training. At Sunday’s “Brewers On Deck” event, Braun said he’s ready to give it a shot if it helps the team. Braun was drafted as an infielder and was named the National League’s Rookie of the Year in 2007 as a third baseman. But he moved to the outfield in 2008 and hasn’t returned since. The addition of Yelich and Cain means the Brewers will have two starters already set. Then there’s Braun, Domingo Santana, Brett Phillips and Keon Broxton. 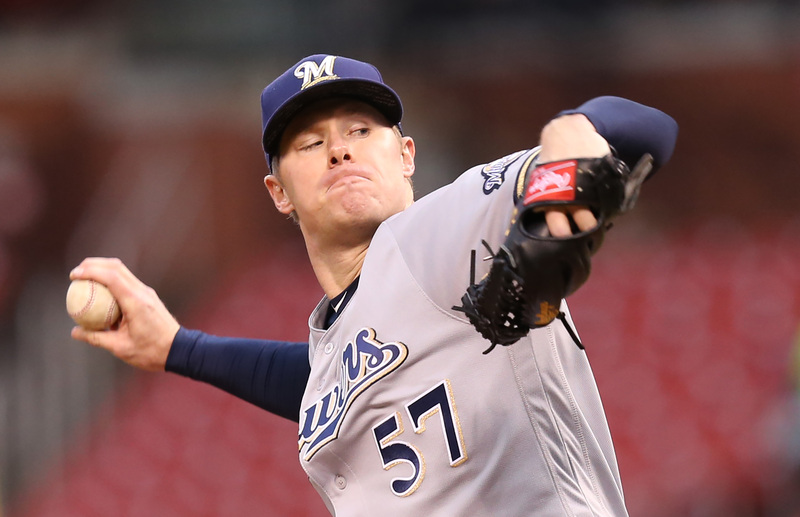 The Milwaukee Brewers have signed right-handed pitcher Chase Anderson to a two-year contract through the 2019 season with club options for 2020 and 2021. The 29-year-old Anderson, who was eligible for arbitration, went 12-4 with a 2.74 ERA in 25 starts for the Brewers in 2017. He set career highs for wins and strikeouts (133) and tied his career high with 13 quality starts. Anderson has gone 17-5 with a 2.69 ERA over his last 37 starts dating back to July 25, 2016. His ERA since that date ranks fourth in the Major Leagues among starting pitchers (minimum 35 starts). Anderson was acquired from Arizona as part of a five-player trade on January 30, 2016. He owns a career record of 36-28 with a 3.87 ERA in 104 games (103 starts) with Arizona (2014-15) and Milwaukee (2016-current). He is 21-15 with a 3.59 ERA in 56 games (55 starts) as a Brewer. The Milwaukee Brewers have three picks on day one of the Major League First-Year Player Draft, which starts Monday night (6 p.m. CT). The Brewers own the ninth overall selection, as well as pick number-34 (Competitive Balance Round A) and number-46 (Second Round) that same night. The First-Year Player Draft covers three days from Monday through Wednesday and will take place at the MLB network Studio 42 in Secaucus, New Jersey. The Brewers have selected ninth overall only once before in team history. Milwaukee selected Geoff Jenkins from USC with the ninth overall pick in the 1995 First-Year Player Draft. Jenkins spent 10 years with the Brewers and hit .277 with 287 doubles, 212 homers and 704 RBI. The Draft, which is comprised of 40 rounds, will continue on Tuesday at noon (CT) for Rounds 3-10 and then again on Wednesday at 11:00 a.m. CT for rounds 11-40.